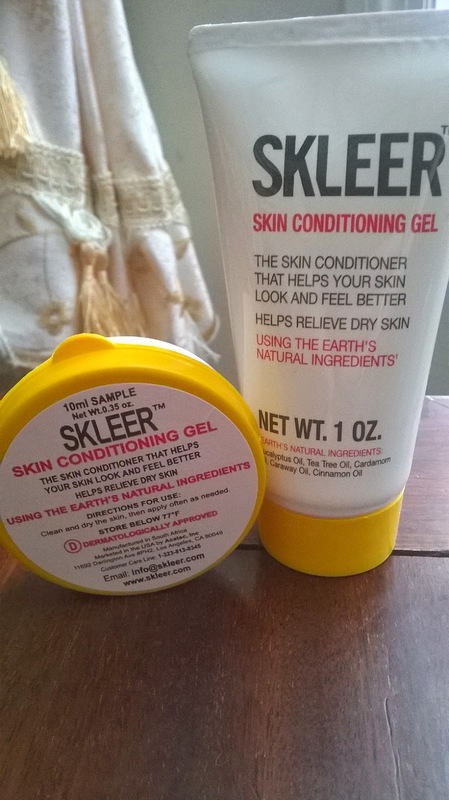 Skleer is a transparent cream that contains super-duper awesome oil. Yes you know it. I am crazy about oils. Skleer does not contain parabens or harmful preservatives! Eucalyptus oil, caraway oil, tea tree oil, cinnamon oil and cardamom oil. And it smells amazing (eucalyptus scent dominant). I rub a bit from my fingers onto my arm. The cream is not greasy or oily; in fact it was more like water kind of texture. It absorbs into my skin quickly and left no sign except the faint fragrance of the oils. I figured why not give this to my guy since he is allergic to mosquito bites and always have rough skin on his hand. So I surprised him with this little tube and he was delighted as he read the ingredients on the tube. I found another magical use for this cream. This one is for the ladies. Rub the cream on your womb when you’re on your pms and it should help.